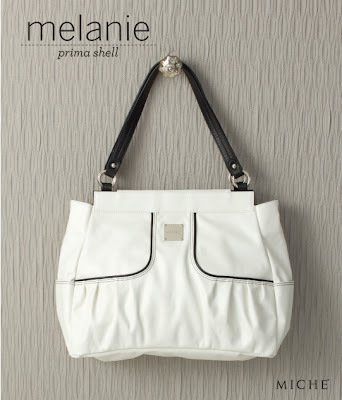 Every Prima Bag fan should have a true-white Shell in her Miche collection, and the stunning Melanie certainly fits the bill. Silky-smooth snowy faux leather features chic contrasting black stitching and piping. Perfect for a walk along the beach or wherever your busy day takes you!